I love the extended honcho… hope it goes on sale so we can order. nice. 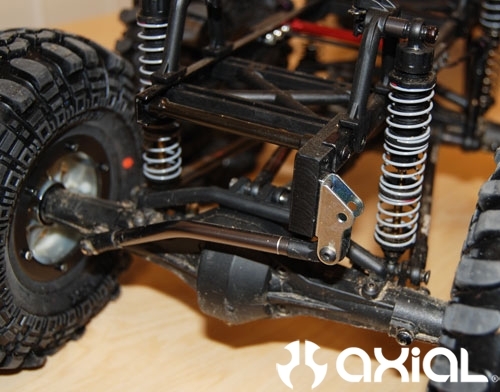 wondering about the middle axle… is this already out or is this modded axle??? thanks for any info and awesome as overall!! Andrew just sent me a link to this and its very cool. Great job on the build man and I cant wait to see whats next. OMG! Who puts the original in OG, none other than the r/c crawling lengend, the OG himself, Brad “BENDER” Dumont. Great vid and just SICK, SICK, SICK, build. Really great build, and very capable. Running in the sand at a beach is the best with these rigs. I’m a lover of the unique and just finished a scale build using an SCX10 chassis as a base. I really like the SCX10 and its adaptability. I’m starting another very soon. See my web link if your interested in the results. The weblink is an open link to our club site where there is a pictorial of my build, including my 5 1\2ft long 5th wheel gooseneck, and my boat\trailer combo as well. Please feel free to wander around and get some ideas and share them with other scaler fans. 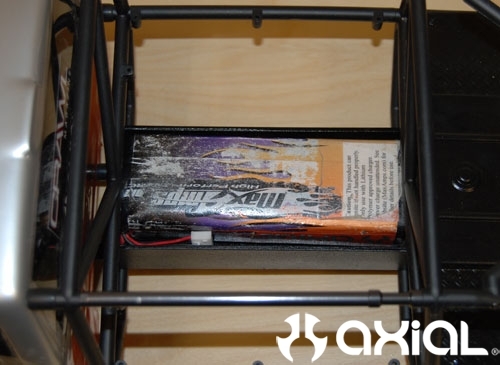 Again, nice work, great attention to detail, and the ease of engineering looks fantastic. Hey Bender. I took your idea to make a 6×6 and I have done it. I’m just waiting on the 4 link set up and I will be set to go. Still thinking of a better why to make the rear half of the body but what I did as you did worked out pretty good. It really wasn’t to hard to do. Just some thinking and scratching my head a few times to get it done but it was well worth it. Awesome build man. I’ll bet it could use a rear steer setup. maybe the next mod? 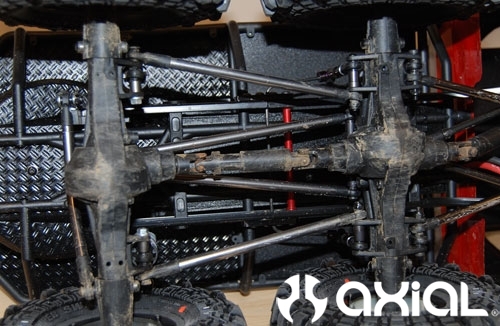 is axial going to make a conversion kit for a normal scx10 to become this???? please suggest it!!! 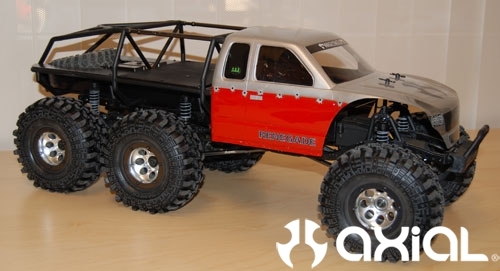 I’m a kid and have saved enough moeny to get the 4X4 model of this project, just wondering where I can find the extra parts to make the 6X6 as this is what I really want. 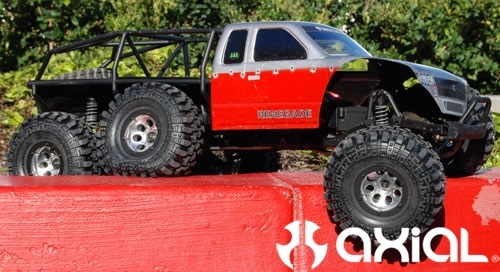 Also this is a WICKED model 6X6 – I LOVE IT!!!!! You’d a great job! That’s 6×6 is what I’m planning to DIY. 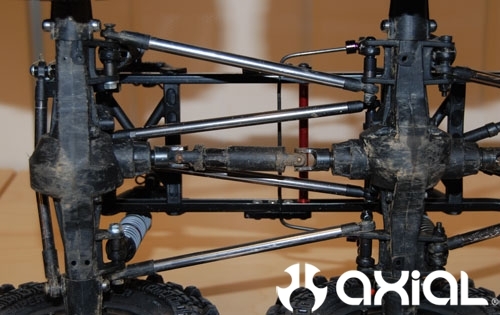 I hope Axial will put it on production, or make an extra add on kit for SCX 10. Excellent! I’m loving it. 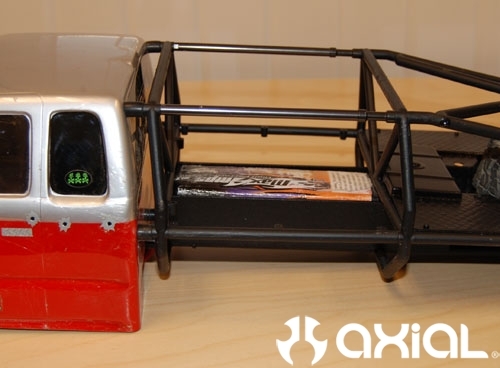 this is so cool that i will sell my revo and build one !!!!! 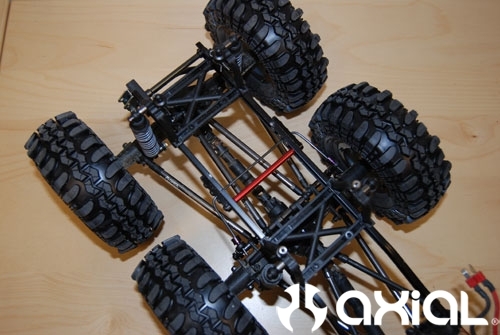 sweet idea axial should sell an rt. 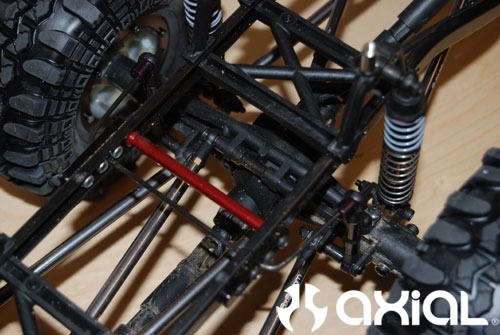 or atleast a complete flip diff, half diff, short shaft and chassis extention package with links. shocks, wheels and, body extension we can figure out our selves. 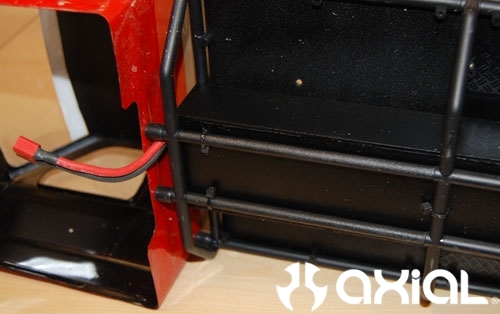 this concept should be made available for both ax-10 and scx-10. BENDER custom parts and projects are awsome keep it up. would you consider putting this out as a kit? We have talked about it, but no solid plans to do a 6×6 at this time.